‘The Pyramid’ Trailer Is Here!!! 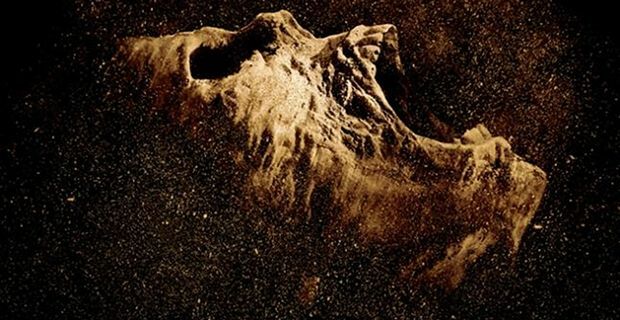 ‘The Pyramid‘ is giving a little bit of a fresh look at the horror genre. Yes, it’s still a story line we’ve seen before, but not as much recently. There are archaeologists unearthing a newly discovered pyramid deep beneath the Egyptian desert. As explorers do, they search the new monument’s depths and become hopelessly and gloriously lost and confused because of the endless catacombs. To add a more pressing nature, to the already claustrophobic situation, the group discovers that not only are they trapped, but they are being hunted, as well. The spine-tingling tale comes from the highly regarded writer, Gregory Levasseur, known for writing ‘The Hills Have Eyes‘ and ‘High Tension‘. Except this time, Levasseur is in the role of director instead of chief wordsmith. The writers for this venture are Daniel Meersand and Nick Simon. Starring are Ashley Hinshaw, James Buckley, Denis O’Hare, Christa-Marie Nicola and Amir K. The pic is set to open nationwide on December 5. This entry was posted on Wednesday, August 27th, 2014 at 1:53 pm	and is filed under Film, News. You can follow any responses to this entry through the RSS 2.0 feed. You can skip to the end and leave a response. Pinging is currently not allowed. « 2014 Emmy Award Winners! [talking about when kissing going 90 per cent then he goes 10] All right show me the magic. [after being kissed] What the hell? Well, you said show me the magic . Yeah, but you go 90 then I go 10. You don't go the whole hundred, you over-eager son of a... BLECH!